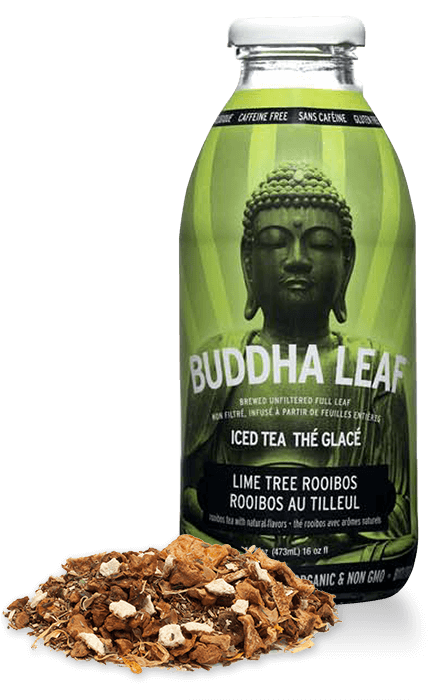 All our iced teas are brewed from organic premium tea leaves, fruit, flowers and herbs. 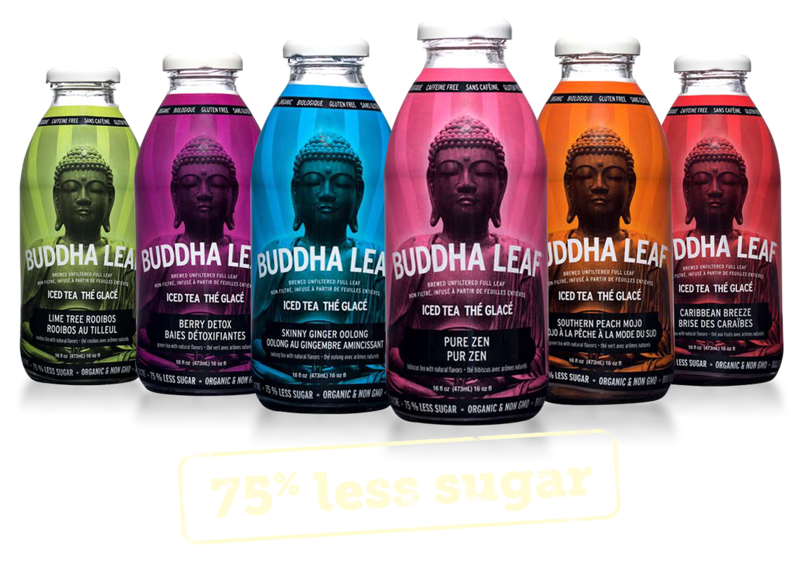 Our products are non GMO, gluten free and contain much less sugar than other iced teas, juices or soda. We don’t use any concentrates or artificial flavour and we believe it shows. 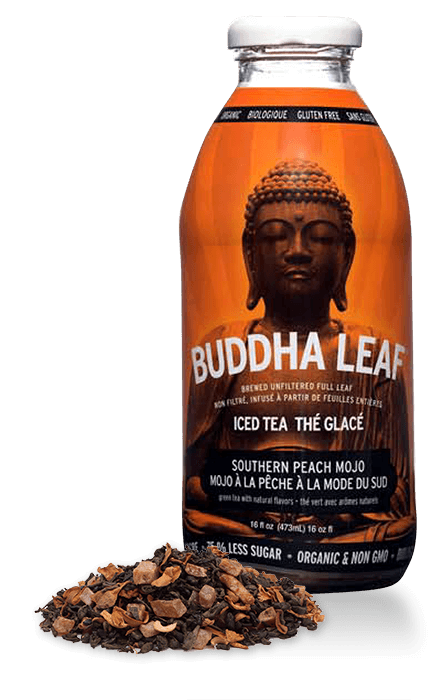 Buddha Leaf Iced teas are naturally cloudy and full of delicious goodness. An awesome twist on a southern classic. We infused Taiwanese Gunpowder tea with refreshing summer peach Delivering all the benefits of green tea with that familiar flavour. An instant vacation with the flavours of the Caribbean. Let yourself be swept away by this amazing fruit blend. Pineapple and coconut are the stars in this tea…just the beach might be missing. Green South African Rooibos with fragrant lime and fruit. Rooibos is a caffeine free and healthy powerhouse, loaded with antioxidants, vitamins and minerals. 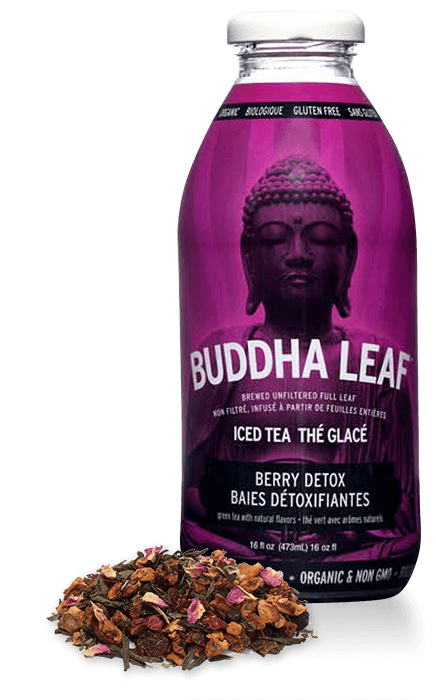 Gentle and soothing to the body with uplifting and bright flavours. Superior and rich green tea is boosted with flavourful fruit. Blueberries, black currants and strawberries give this uplifting tonic its delicious punch. The wonderful sweetness of the berries make it easy to be good. 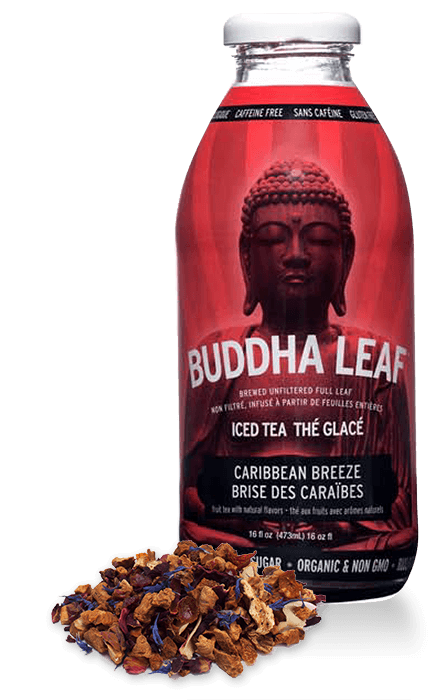 This amazing blend features superior Ti Kwan Yin Oolong with fresh ginger juice and lemongrass. 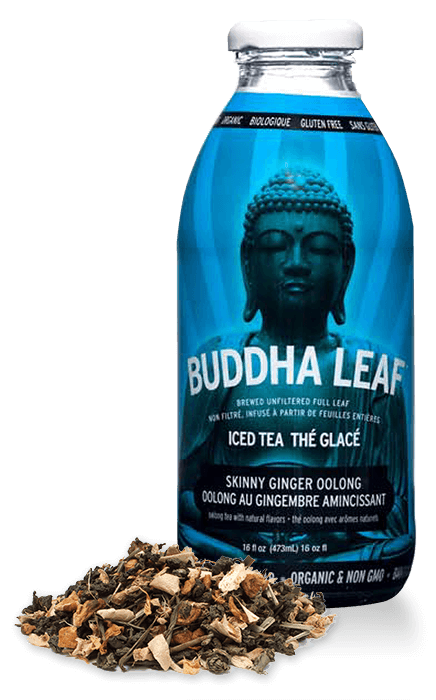 Oolong has long been hailed for its ability to speed up the metabolism. Juicy, slightly tart and absolutely delicious. Hibiscus has been shown to lower blood pressure. 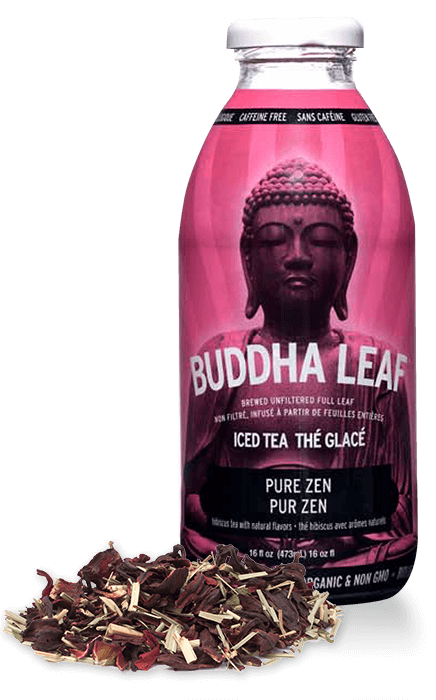 The great news is that you don’t have to be stressed out to enjoy this refreshing blend. For more information, don’t hesitate to get in touch!